Scan to Email – Scan directly to an email address in a variety of formats, including PDF, TIFF and JPEG. Scan to Email uses LDAP and can integrate with your server’s global address book. In addition, email addresses may be saved at the device with favorites being designated. Network Scan – Scan over the network to a specific workstation in a variety of formats, including PDF, TIFF and JPEG. Scan to Folder – Scan directly to a folder on the server on a folder on your workstation in a variety of formats, including PDF, TIFF and JPEG. Scan to Cloud Programs – Scan to many popular cloud programs including DropBox, Office365 and SharePoint. Scan to USB Thumb Drive – Scan directly to a USB Thumb Drive from the device in PDF format. 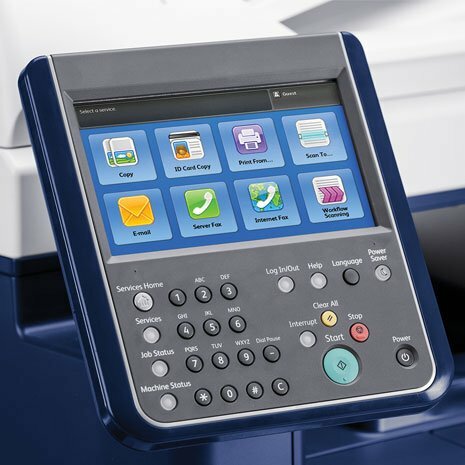 Single Touch Scanning – Set predesignated workflows for easy, simple scanning of similar documents. Not all scanning options are available on all Xerox models. Contact your local representative for more information on our scanning solutions.